Valentine’s Day can be great, especially when we spend it with friends and the ones we love. This year, we’re spending the holiday with some of our favorite animated friends – Minnie Mouse and Daisy Duck from the Happy Helpers! 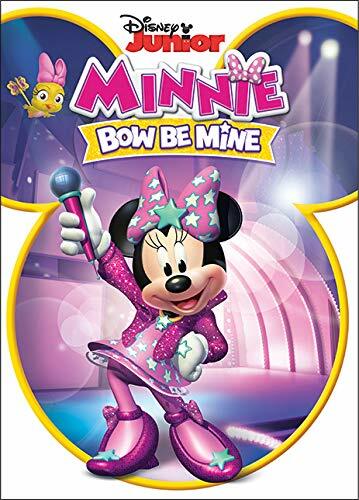 With the new release of a fun new collection – Minnie: Bow Be Mine with fun episodes from the Happy Helpers and over 144 minutes of entertainment. The show focuses a lot on friendship, helping each other out taking on the world one adventure at a time. Dance and sing along with your kids, and watch them learn new lessons as they watch these fun episodes over and over again! As the Happy Helpers from Mickey and the Roadster Racers, BFFs Minnie and Daisy take center stage as they tackle super-tough tasks and help friends who need a hand: judging a surfing contest in Hawaii, solving a doozy of a mystery, photographing a rare rainforest bird and much more! 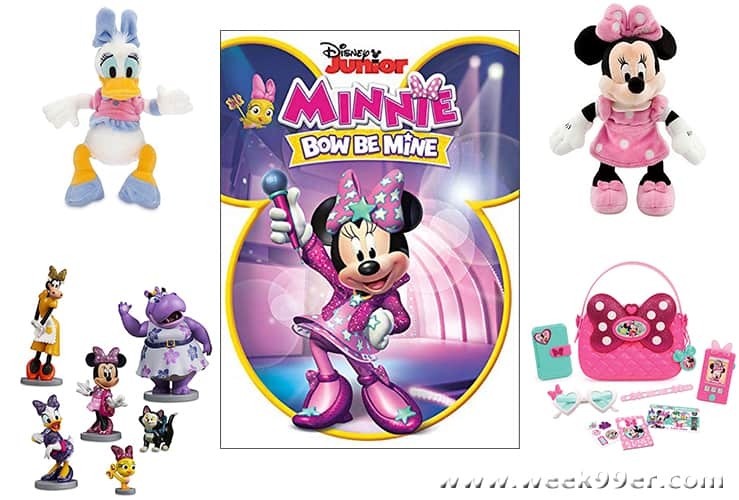 Then, watch Minnie rock out onstage at Hot Dog Hills Stadium! Featuring two bonus music videos, Bow Be Mine amps up the fun to a whole new level of awesome. Voice Cast: Russi Taylor as Minnie Mouse; Tress MacNeille as Daisy Duck;Bret Iwan as Mickey Mouse; Daniel Rossas Donald Duck; Bill Farmer as Goofy; Jim Cummings as Pete; and Jay Leno as Billy Beagle. Enter to win with the form below. Who will you give this prize package to? Or how will your children celebrate Valentine’s Day this year? If you do not do this entry – you will not win! So make sure you leave a comment and then enter using the form below! 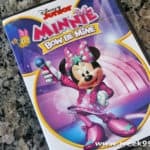 This is the PERFECT gift for my Minnie obsessed niece! Thank you so much for the opportunity. My little Evelyn (1 1/2) is obsessed with Minnie Mouse, and calls her Mee-Mau. This would be an absolutely perfect gift for her. I would give this to my daughter in law. She loves minnie. This would be for my almost 2 year old, Samantha, who loves Minnie. I would give this to my niece if I win. I celebrate Valentines Day by giving my kids Valentines. I would give this prize to my niece! She loves Minnie Mouse! They have a Valentine’s Day party at daycare. My younger daughter would be thrilled with this prize! She loves Minnie! My kids will celebrate Valentine’s by giving some home made Valentines to their friends. My goddaughter is a minnie mouse fan. She loves loves her. Thisbwould definitely go to her. My younger daughter would be thrilled with this prize. I would love this for my grand daughter. She is a Minnie Mouse Fan. My goddaughter would love this! He is obsessed with her. 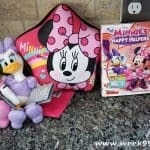 This prize pack would be for my daughter. We might celebrate by making Valentine’s crafts. I would give this to my younger daughter. I might bake with my daughter on Valentine’s Day. My niece would love this prize pack. We are celebrating with a nice lunch out. I would love to give this to my niece! She loves Minnie Mouse! We celebrate with love and candy. My younger daughter would be delighted to get this prize. My younger daughter would love to have this! My goddaughter would love this! I have no plans so far! Just speech with my boys! I plan on giving this prize to my niece if I win. She loves Minnie Mouse. My younger daughter would be thrilled with this prize package. Thank you! I would love to give this to my niece she is Minnie Mouse obsessed! My grandson is taking valentines and cupcakes to share with his class on Valentine’s Day. My goddaughter would go over this!! I would give this to my niece, she loves minnie mouse. We will bake heart shaped cookies together. 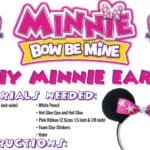 I would gift this to my niece she is minnie mouse obsessed! I have a newborn granddaughter who will celebrate her first Valentine’s this year. I plan on spoiling her. I will give this to my granddaughters. They love Minnie Mouse.